The University of Coimbra has been addressing these challenges in the context of its Energy for Sustainability (EfS) Initiative, bringing together professors and researchers from the Faculties of Science and Technology, Economics and Psychology and Educational Sciences. The conference series in Energy for Sustainability aims at creating a forum where stakeholders, researchers, practitioners and students from different scientific domains can discuss and share their experience and proposals regarding approaches to tackle the need for a more sustainable world. 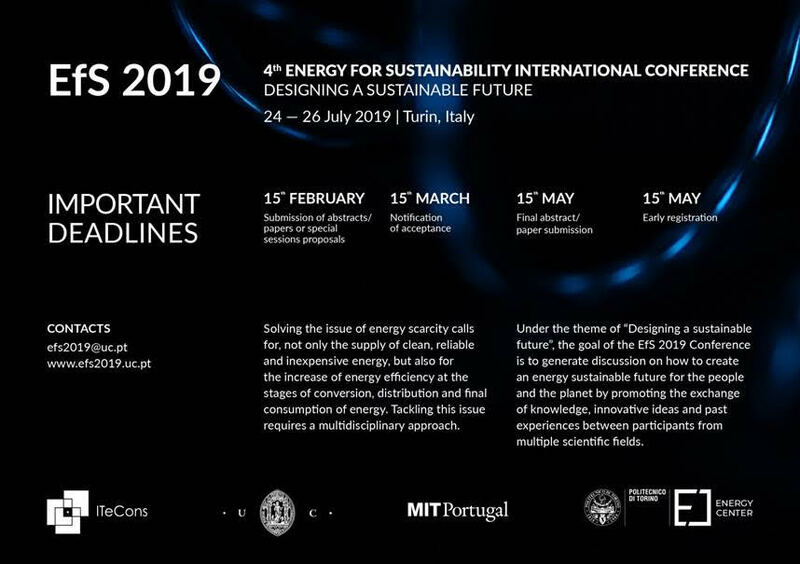 The theme for the EfS 2019 is "Designing a sustainable future". Up for discussion are topics grouped under six main categories: sustainability assessment and resiliency to climate change; cleaner energy supply; markets and policies; cities & communities; built environment; people and systems. The UC and the Polytechnic of Turin invite everyone involved in research to participate in EfS 2019. The Conference will be a privileged forum for debating new research streams and challenges and for identifying areas of success and partnership opportunities in the fields of Energy and Sustainability. THE SMART READINESS INDICATOR OF BUILDINGS: What really matters? We look forward to welcoming you in Turin on the 24th of July, 2019!!! We've extended the deadline for abstract/paper submission. Now you have until 8th March 2019 to submit your abstract/paper for oral presentation. 3rd Energy for Sustainability International Conference - EfS 2017: Designing Cities & Communities for the Future, took place in Funchal, Madeira Island, Portugal, from 8-10th February 2017. 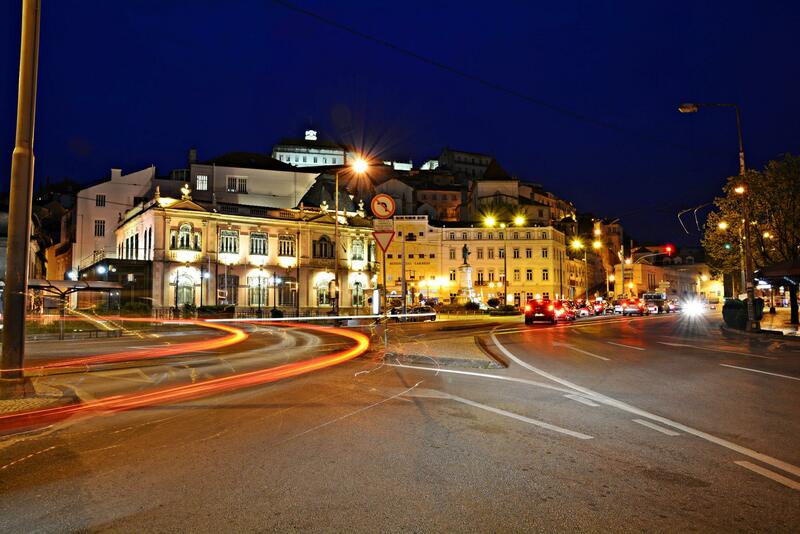 2nd Energy for Sustainability Multidisciplinary Conference - EfS 2015 took place in Coimbra, Portugal, on 14-15th May 2015 (Photos). 1st Energy for Sustainability Multidisciplinary Conference- EfS 2013 took place in Coimbra (Portugal) on September 8-10, 2013.